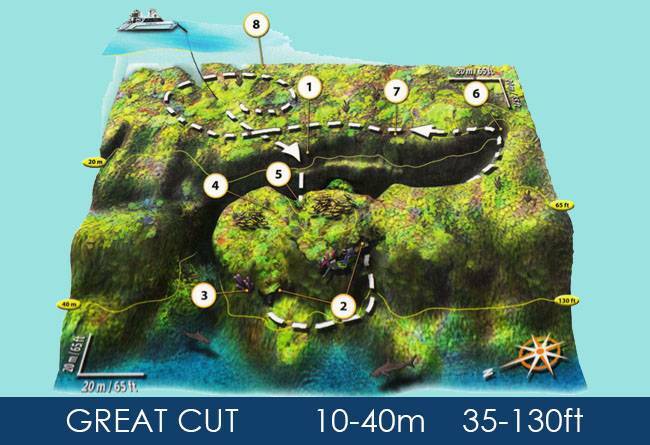 More than 35 dive sites in a protected area! 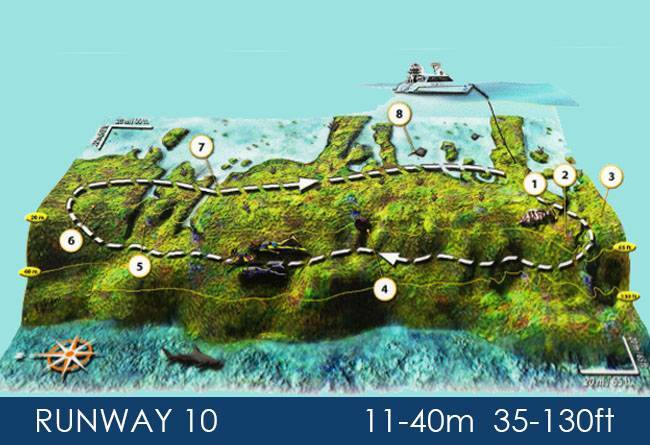 Our dive sites are accessible by boat within 5 to 60mn boatride. The descent is made through a complex entanglement of reef potatoes and canyons. The wall itself houses a wide variety of corals. In the caves and tunnels of the deeper part, one can find nurse sharks. 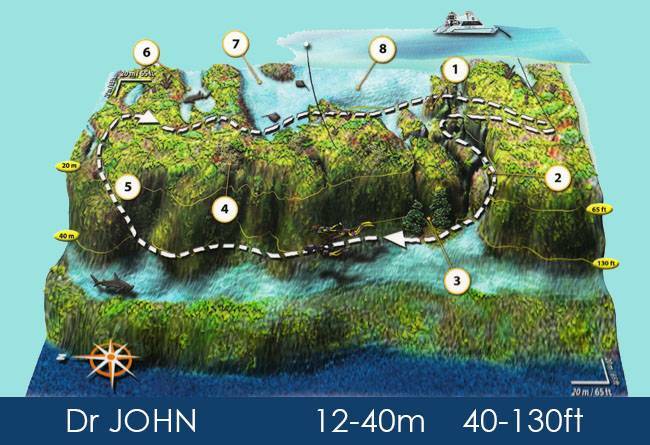 Shallower areas include rare corals, parrot fish and sandy reef channels. Dive that starts at 14 meters. This fracture of the drop off created a vast canyon parallel to the wall opened on the big blue by vast tunnels and arches. 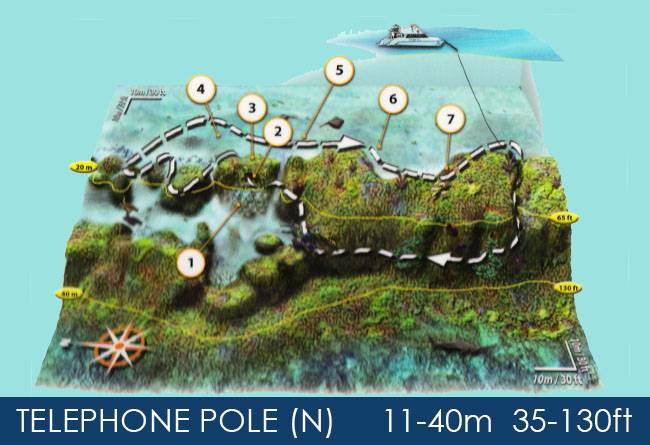 On the edge of the wall at 12 meters, the dive can start with the descent of a large chimney offering exits between 30 and 40 meters. The ascent of faults sheltering multiple fish is one of the pleasures that make this site a place known throughout the world. 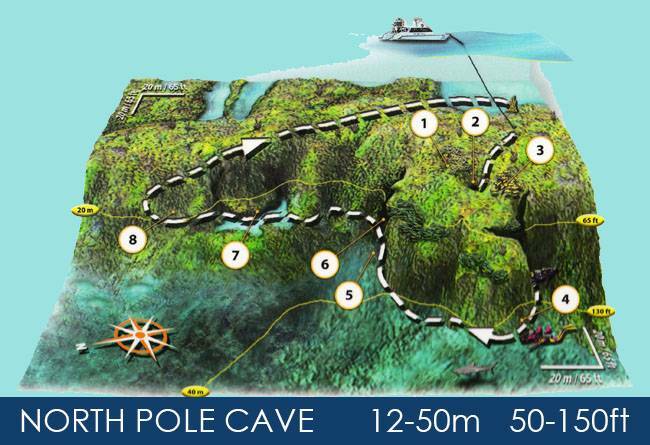 On a lagoon opened by a wall that dives from 11 meters, this dive is famous for its tunnel that opens from 20 meters on the big blue, striking sensation grantie. 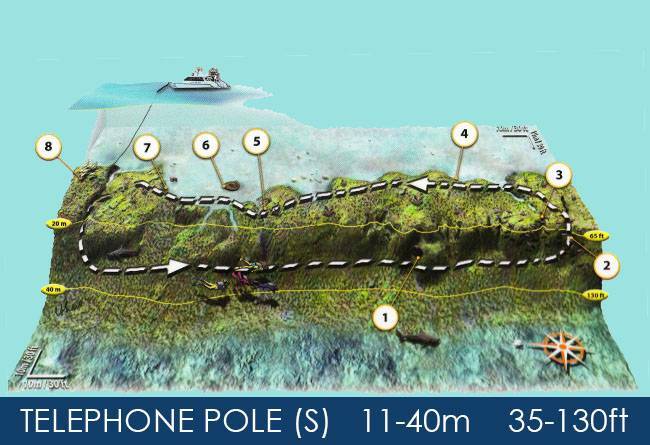 You can discover at 11 meters on the sand surrounded by garden eels, a monument paying homage to Christopher Columbus who anchored there during his first crossing. Here is a reef wall with a sawtooth notch, just below the boat's mooring, that Bob the Nassau grouper has chosen for home. Divers return along the upper part of the reef, composed of spur and furrow formations mixed with scattered pieces of reef, where stingrays are often found feeding.